The Dakota skipper mysteriously disappeared from these southwest Minnesota prairies a decade ago. Nobody has pinpointed exactly why, but their numbers fell about a decade ago as farming practices changed. The moth-like skipper butterfly is no Monarch — they're typically an inch wide, ruddy brown and fuzzy. Somewhat homely, you might say. But to Erik Runquist's eyes, they're a beautiful sight. The Minnesota Zoo butterfly conservation biologist is helping with the first effort to reintroduce skippers to their old habitats. • Minnesota mystery: Where are the prairie butterflies? If the effort is successful, he said, "then it raises the prospect for conservation of Dakota skippers and of really a lot of other butterflies at the same time." 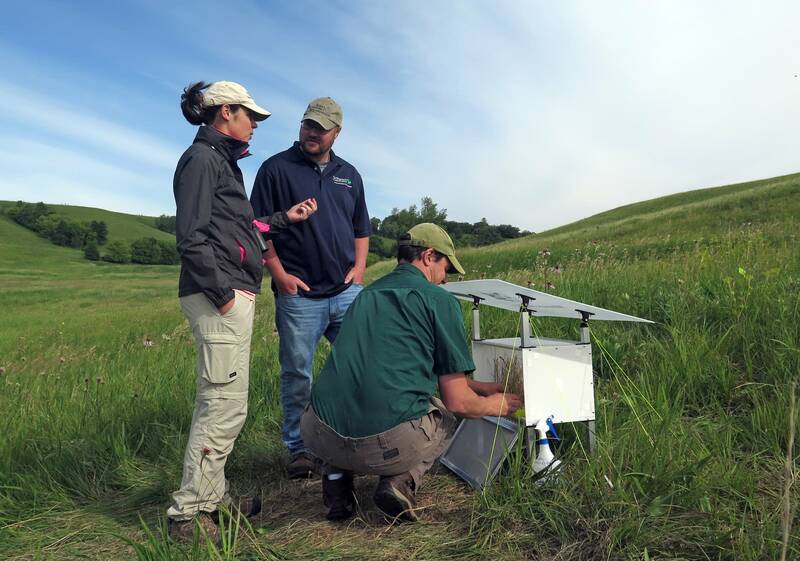 The goal is to release a couple hundred Dakota skippers over several weeks at the Hole-In-The-Mountain Prairie preserve, Nature Conservancy property. Workers will release a similar number of butterflies each of the next two years. But these efforts could be in vain — the same factors that caused skippers to disappear from the region about a decade ago could also doom the new population. There's a long list of possible causes for their decline, ranging from habitat loss to farm pesticide drift. The decline of the Dakota skipper and other butterfly species coincides with the implementation of widespread pesticide spraying programs to control the economically damaging soybean aphid, Runquist said. Vegetation at Hole-In-The-Mountain and other prairie areas have tested positive for small amounts of pesticides, he said. "We were collecting it from the grasses that the caterpillars would be feeding on, presumably." But he cautions there's no proof that pesticides caused the butterfly's disappearance — more research is needed. Currently, the only self-sustaining population in Minnesota is on prairie land near Moorhead. Controlled burns of the prairie help produce the habitat the butterfly relies on, said Joe Blastick, who manages the Hole-In-The-Mountain preserve. 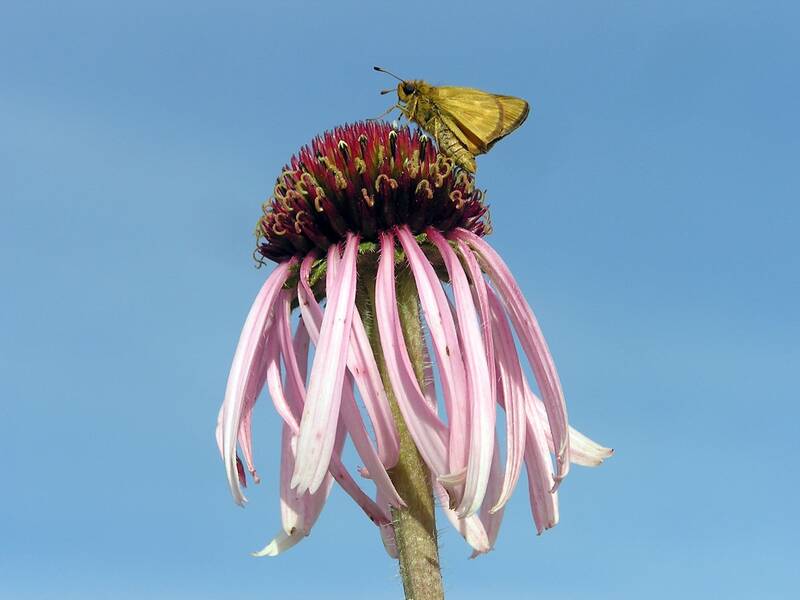 "Dakota skippers need the coneflowers," Blastick said. 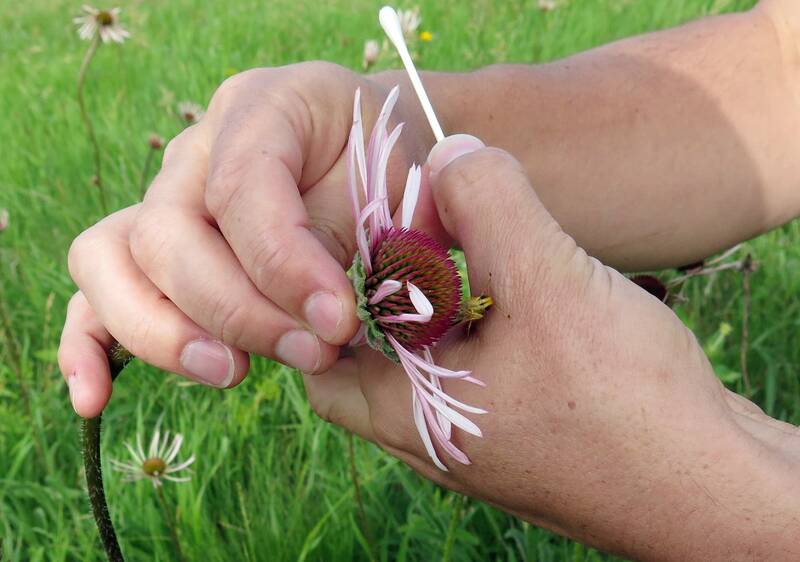 "And usually after a year of prescribed fire in the springtime, you get a real big flush of coneflowers." One recent day, Runquist coaxed a Dakota skipper onto a coneflower just after it emerged from its chrysalis. "Welcome to your new home, buddy." Runquist said he won't be happy until the Dakota skipper comes off the endangered species list.